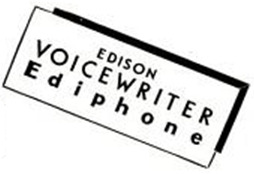 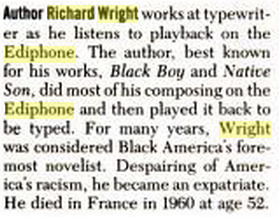 Wright took the Ediphone with him when he moved into 11 Revere Place, Brooklyn, in late Oct0ber 1941. 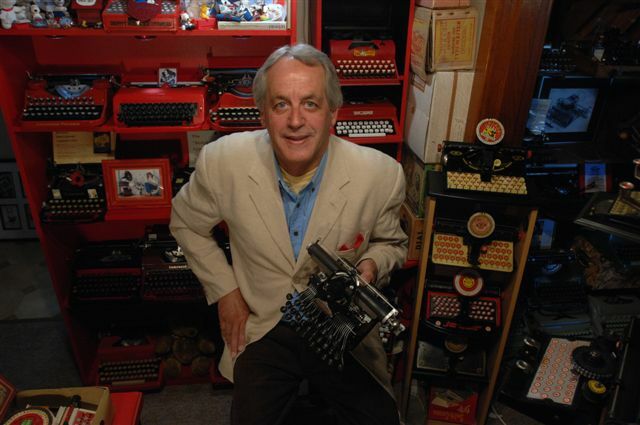 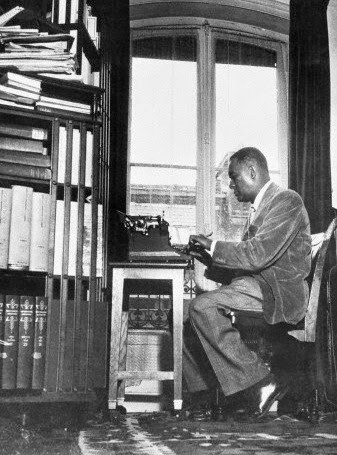 In 1946 he took his typewriter and Ediphone with him to Paris, where he lived at 38 Boulevard St Michel. 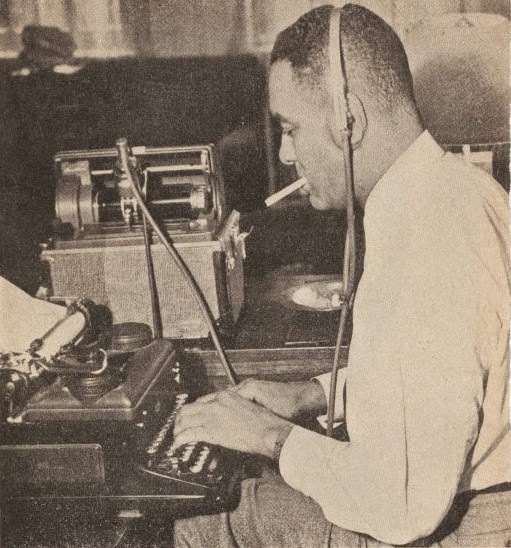 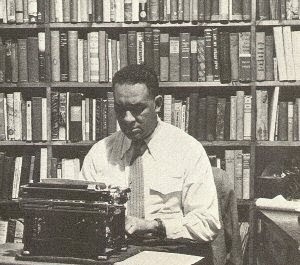 Richard Nathaniel Wright (September 4, 1908-November 28, 1960) was an African-American author of sometimes controversial novels, short stories, poems and non-fiction. 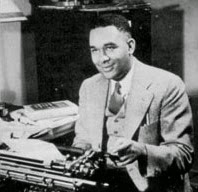 Much of his literature concerns racial themes, especially those involving the plight of African Americans during the late 19th to mid-20th centuries. 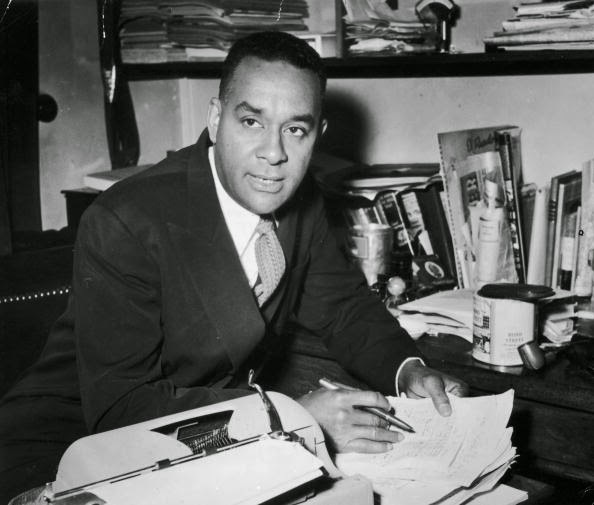 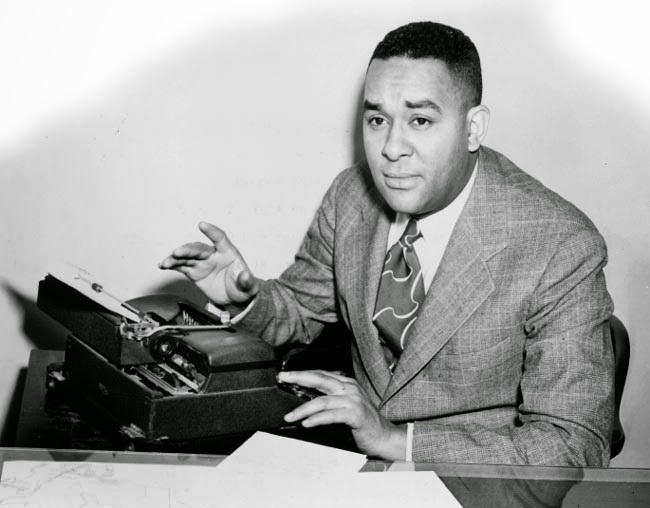 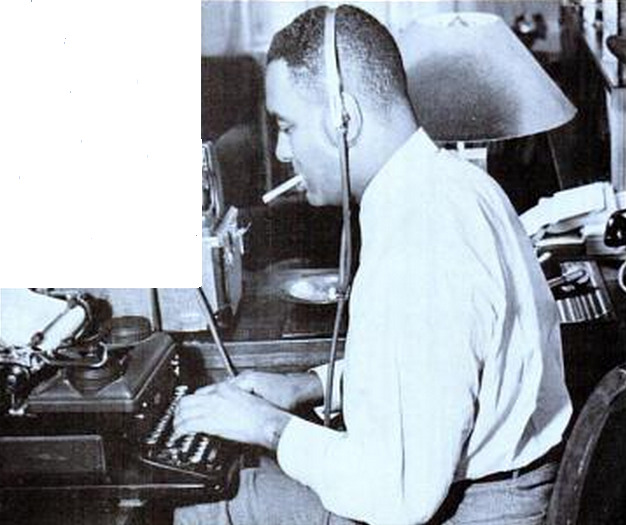 Literary critics believe his work helped change race relations in the United States in the mid-20th century.